Around chapter 3 you talk to a women and 2 guys on either side of you.they..
Around chapter 3 you talk to a women and 2 guys on either side of you.they die,you fall thur floor,a monster jumps down in front of you screams in you're face then bites you're head off.how do you kill that thing? Would be so grateful for anwser. How do you complete the Knock Knock trophy? It says complete the drill..
Can anyone tell me where the Peng treasure is? Want to find it before .. I can only find two of the parts jn chapter 9. 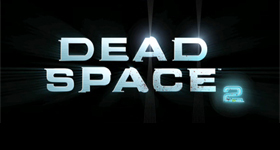 This guide will help players find their way around The Sprawl, offer helpful gameplay tips and feature screenshots and videos needed to unlock vario..
No discussions open for Dead Space 2 at the moment. How do you complete the Knock Knock ..
Can you us codes for deadspace one o..
Can anyone tell me where the Peng tr..